In my previous post I shared my itinerary for my upcoming trip to Hawaii. In the itinerary I shared the different hotels we are going to stay at. This will also be our first encounter with Airbnb. As newbies we were pretty unsure and hesitant at first if we should book a accommodation in a strangers house. But, then I reminded myself; I am a millennial and I should start accepting the future of sharing instead of owning. English translation: Marshall had to cancel, but we'd love to help you. Ai, now we had to find a new accommodation on the spot on the island of Maui! Maui is one of the most expensive islands. This is also why we decided to book our Airbnb at this Island. Because of the cancellation we had to fill the 7 nights that opened up. BUT because we are leaving in less than 2 months almost all Airbnb stays are gone on the island of Maui. After a long hard search (and using my shopaholic skills) I found another offer that is kinda affordable as a student. 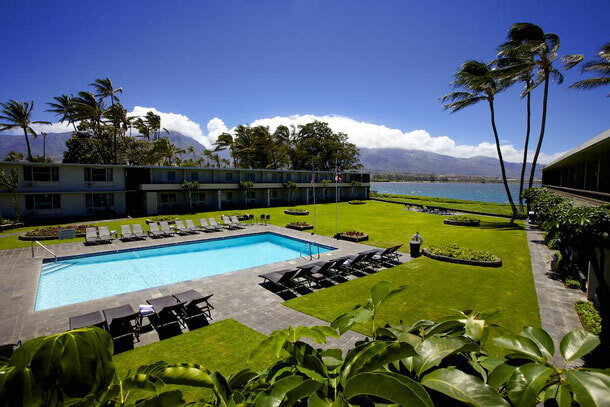 We are staying at Maui Seaside Hotel for 7 nights. The countdown is real guys! 58 days left. Ps. want to check out my latest travelvlog?